"While parishioners in the front were worshiping, a pair of men were in the back of the church robbing. Police said two teenagers robbed the Christ is Lord Ministry in Woodbridge while church was in service on Sunday morning. According to Prince William police, Stephen Ernest Wing Jr., 19, of Dumfries, and Andrew Phillip Conteh, 18, of Lorton, conspired together to steal the collection. They snuck in through a back door, prosecutors said, and entered a back room, where cash that had been collected during the service was being counted." Does your church have uniformed police or armed security present during their offering or collection? Does your church count their money behind a closed LOCKED door? Does your church use a safe and lockable money bag for their collection? Does your church use the two person rule for accountability of the collection? Does your church have a security camera system in the church and specifically in the area the money is being collected, counted and stored for accountability reasons? Does your church do a background check on those serving in ares involving the collection or counting of money? Check out the "Store" portion of this website for information on money collection bags and storage safes. 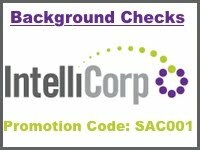 Contact IntelliCorp for background check information!